Leading il Buco Alimentari & Vineria’s artisan bread program, Head Baker Sheena Otto bakes all the breads on the restaurant menu, in addition those offered through the Alimentari’s bakery. Born and raised in NYC’s Hell’s Kitchen, Sheena’s path into the culinary world was an untraditional one, though her long-time love of baking did eventually lead her to some of the city’s top bakeries and bread programs. She started her career investigating police misconduct in the NYPD, but confident that she hadn’t yet found her calling, Sheena moved to Washington, DC several years later to explore a career in Law. After a brief stint in DC, she returned to NYC and started working in a hedge fund until 2008, when she was laid off after the stock market crashed. Again in search of her next move professionally, Sheena took a job at a small Mediterranean deli, where her passion for baking was reignited. She became a baker at NYC’s iconic Amy’s Bread and simultaneously staged at SCRATCHBread in Brooklyn. She was hired as Head Boulangère at the Michelin-starred Atera and launched the restaurant’s much praised bread program. 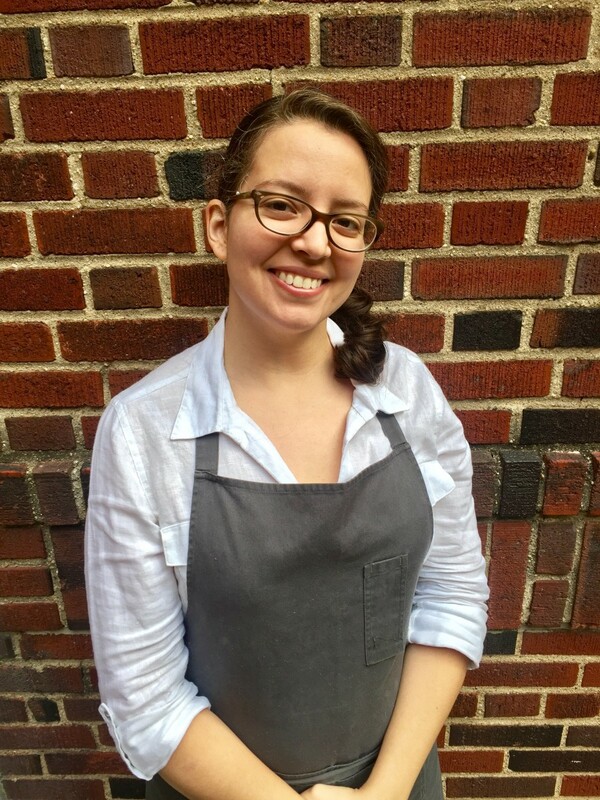 After three years, she became the sous chef at beloved Brooklyn bakery Bien Cuit, and honed her bread baking practice of using a slow fermentation process and only the best ingredients, which she now brings to il Buco Alimentari. In addition to il Buco’s classic breads like ciabatta, focaccia fino and filone, Sheena has added her own specialty breads to the menu, including a naturally fermented Buckwheat Rye (made with Anson Mills Rye), a Bourbon Raisin Fennel bread and a flavorful Multigrain bread with pumpkin, sunflower, sesame and flax seeds.